The Ashley Stevenson Memorial Scholarship is funded through the Ashley Stevenson Memorial 5K, The Ashley Stevenson Scholarship Banquet and individual donations. 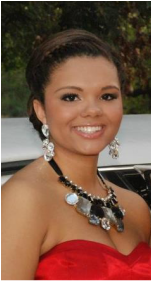 ﻿The Ashley Stevenson Memorial Scholarship is administered by First Financial Bank, Sweetwater. Funds of this scholarship have been raised by individuals, and corporations due to the generous donations. Your donations are greatly appreciated. Do you or your organization want to help under-served populations with the college search? Are you interested in becoming a partner organization? If so, please contact us HERE. Let us know what Sponsorship Level you are interested in and we will contact you as soon as possible. Download the Sponsorship Form below and get started Today! Are you interested in being a Sponsor? Please fill out the information below and we will contact you as soon as possible. Please include your Business Name and Address and the sponsorship level you are interested in. Someone will contact you as soon as possible.